Welcome to The Golf Club at Bear Dance, the home course of The Colorado Section of the Professional Golfers' Association of America. 18 Holes of pure championship golf meander through 753 acres of mountainous terrain with mature Ponderosa Pines, oak-lined ridges, draws and native grass valleys. With an average elevation of 6,800 feet, The Golf Club at Bear Dance offers stunning views of the Front Range and surrounding landscape of The Rocky Mountains. 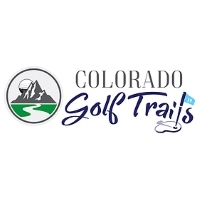 Consistently rated as Colorado's best and most challenging public golf course, Bear Dance offers generous tree-lined fairways framed by flashing white sand bunkers, striking water features, and intricate greens. Awarded the 2014, 2015 & 2016 #1 Course along the Front Range, Bear Dance was chosen for its tranquility and natural splendor, a true mountain golf experience. Please call 303-681-4653 for current rates. Call 303-681-4653 for rates and tee times. Contact Golf Club at Bear Dance at 303-681-4653 for more information and details on holding a golf outing at the course. Contact Golf Club at Bear Dance at 303-681-4653. Contact Golf Club at Bear Dance at 303-681-4653 for onsite or nearby dining options. This profile was last updated on 02/08/2018 and has been viewed 6,558 times.